Imagine if — even just for one day — the biggest street in your neighborhood was closed to motor vehicle traffic so you could explore it by bike or on foot. How different would your community start to look to you? 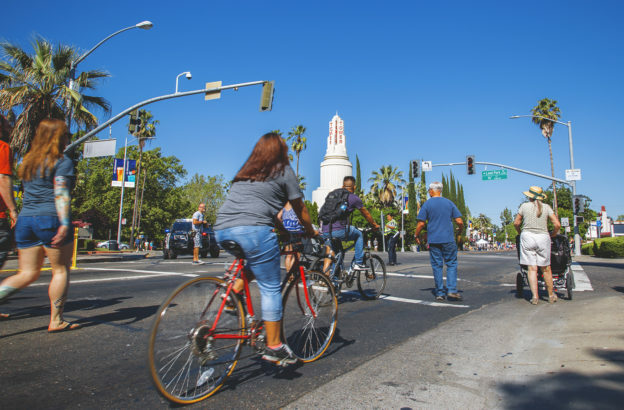 On Sunday, May 21, 2017, Sacramento closed 1.25 miles of Broadway and adjacent streets near downtown Sacramento so people could bike, walk, run, skate, dance and have fun. Sunday Street on Broadway was the first in what the City of Sacramento hopes will be an ongoing schedule of open streets events in all parts of the city. The first modern open streets events were held in San Francisco in the late 1960s, when the city regularly closed streets through Golden Gate Park to motor vehicle traffic. In the 1970s, Bogota, Colombia, introduced Ciclovia (Spanish for “bike path”), a program of weekly street closures that turned the streets into temporary parks. Today, Bogota’s program covers 70 miles and attracts 2 million residents and has inspired large ciclovia programs in other Central and South American cities, including Mexico City and Guadalajara. 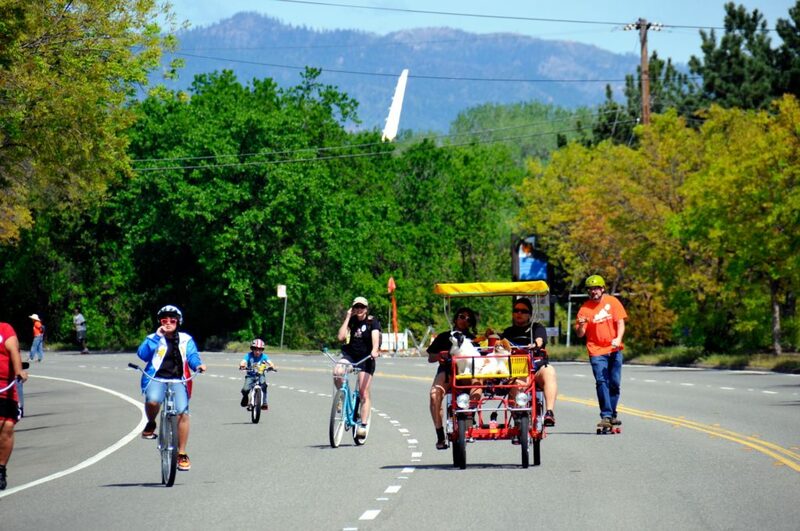 Los Angeles, Santa Cruz, San Francisco, Berkeley and Redding, along with dozens of cities outside California, hold open streets events each year. SABA strongly supports the City of Sacramento’s program as an opportunity to engage residents and demonstrate what’s possible when we treat our streets as places for people, not just cars. This entry was posted in Uncategorized on March 8, 2013 by SABA.